Smartphones are part of the fashion industry nowadays. Designs come thick and fast and manufacturers try to make them ever more appealing. The problems come later down the line, when your smartphone no longer fits the bill for being current. Smartphones actually have a reasonable shelf life from a hardware point of view. The issue is when manufacturers stop pushing software updates out to models just a couple of years old. Apple got caught with their fingers in the register when it emerged that they were deliberately slowing older models down. They say it was to preserve battery life, everyone else says it was to force customers to upgrade. But, as long as manufacturers are reasonably consistent with how they implement the update policy, it is at least a level playing field. Then, it comes down to the hardware. Is it good enough to keep up with app demands? Or good enough to prevent frustration with seemingly increasingly slow responsiveness? All valid question, but are there any valid answers? Although we all use apps every day, the core of any phone is the operating system. Currently, we are at iOS 11.3 and Android 8.1. Actually, Apple will tell you we’re simply at iOS 11, because they consider sub-versions to be minor fixes. Google do it a little differently, and issue security and minor updates separately and on a monthly basis with the month being the name of the update. In Android, 8.1 was quite a major update over 8.0, so you will always see the sub-version of the latest release. Generally speaking Apple will push new major versions of iOS to the current and 2 previous iPhone models. Effectively, this means that any phone older than 3 years will no longer get major updates. Security updates will still be available for iPhones running older versions, but that’s it. 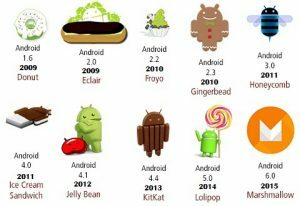 With Android, each manufacturer is free to establish their own update path. Most follow the same path of 2/3 generations before they stop issuing major updates. The monthly minor and security updates remain available for much longer. Manufacturers of Android smartphones also often add their own skin on top of the base Google Android version, sometimes including their own suite of apps. This can mean delays in getting the update out to users. Once you stop getting major updates, it doesn’t mean that your phone will stop working. It just means that any new features introduced in new versions of the OS will not be available. To most people, this isn’t really an issue. The vast majority of smartphone owners probably couldn’t even tell you what version they have of their respective OS. It is only the nerds amongst us who really want the latest and greatest. Everybody else is usually happy with what they have until something breaks. App versions isn’t such a big deal in most cases. Some developers, though, will always insist on using every byte of memory and every cycle of the processor for their apps. This is in spite of knowing that they may be ruling out users of older models from running the new version. Thankfully, more and more app developers are starting to see that this approach doesn’t really serve anybody’s best interest. 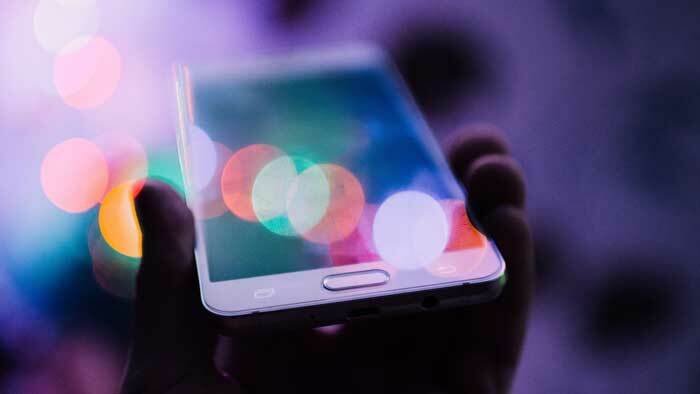 It is becoming more and more unusual for apps to stop working on older phones, especially the big social media giant’s apps like Twitter, Facebook and Instagram. One area where it may be an issue is with gaming. If a new game is particularly processor-heavy, it may just be a fact that older phones just might not have the necessary power to run them. It’s the same with hi-res video. More and more smartphones are recording 4K video today. Even though few have a 4K display, they still need to be able to keep up with the higher resolution of the original video. Again, this might be a problem for older smartphones. As we’ve touched on above, the hardware limits of older phones might put some pressure on what they can handle from a graphical standpoint. Processors advance more rapidly than just about any other component of a smartphone. Not so long ago we were all running single-core CPUs. Now, quad-core and higher is the norm,. This means 4 times the amount of data can be processed at once, than is possible with a single core. It doesn’t take a math genius to work out what a difference that can make. Cameras, although getting better overall, haven’t been quite such a big advancement. Flagship phones now have two lenses to improve control and quality, but many single lens cameras produce stunning images. Displays are always a massive selling point for smartphone manufacturers. The more pixels, the harder the sell. In truth, although it does make a difference, the software of the OS will often be a huge influence on the quality of an on-screen image. Smartphone screens, with their relatively small size, make it difficult to distinguish quality levels unless the resolution is massively different. How To Know The Lifespan of a Smartphone? If you take into account what we’ve said above, especially on the OS version and the number of cores in the processor, you will have an idea of how long your phone may last before starting to look creaky. Dual-core is still feasible – just. Quad-core is now very common and 8-core on flagship models. Generally, if you look at quad-core, there are some bargains to be had. If you can get a phone that is still within the update cycle for the OS, that’s great. But you will find massive price reductions when any phone reaches its perceived “end of life”. Because prices get so low, it makes it easier to choose a device and then upgrade in a couple of years. We guarantee that nobody will know you have an older device unless you tell them. Check reviews. Often, the best review sites will go back and update their own reviews. This tends to happen if there have been big downwards shifts in the pricing. What might have got 3 stars before may well now get 4 or 5 stars at the lower price. Look for owner forums online. Have a look at the rate of the posting of new threads on the subject. If a forum for a particular device used to be very busy but now has no activity, it might be an indication that the phone hasn’t aged well. Alternatively, flick through some of the reviews on Amazon from “Verified Buyers”. These are often the only way to be sure it’s not competitors or otherwise disgruntled users merely trolling. A 12 month Warranty isn’t really an indicator of how long a smartphone should last. The warranty lasts that long because people expect it. Look for reports of major bugs or critical issues, and whether they ever got fixed. If the fix isn’t made within a few weeks, it probably never will be. If the manufacturer doesn’t care about that, chances are the phone isn’t too well loved by anybody. But there’s no reason why, with a little care, a smartphone should last for just as long as you need it to.